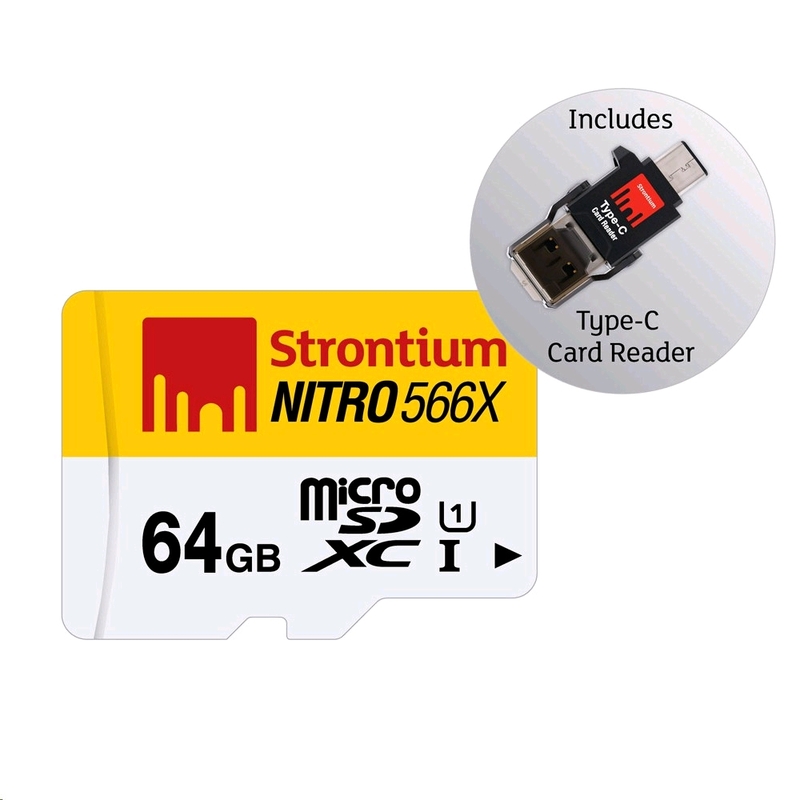 Strontium® NITRO range of UHS-I microSDXC flash cards offer an impressive data storage of music, full high-definition videos, high-resolution photos and games in a tiny body with ultra high performance. 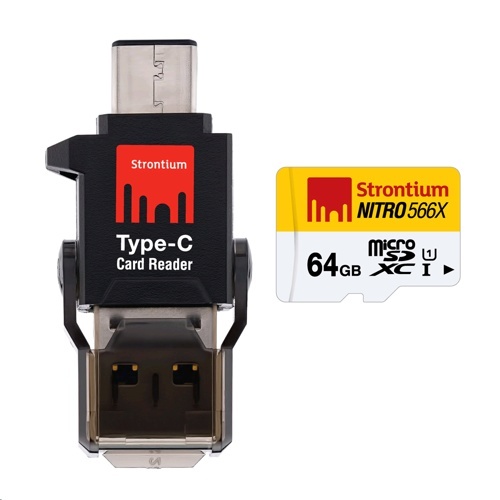 It is widely available from 64GB to 128GB capacities, and now comes with the latest Type-C card reader. For latest details of compatible Type-C devices, please visit here. Type-C Card Reader included. Strontium's Type-C Mobile Kit combines a microSD card with a Type-C Card Reader to create the convenience of transferring files between new-generation smartphones, tablets and laptops equipped with USB Type-C ports and your Mac/PC. In addition, as the USB Type-C connector is completely reversible, you will never need to worry which way to plug in anymore. Ultra High Speed Performance. Equipped with a high speed "Class 10" rating, our UHS-I microSDXC card maximizes the UHS-I technology to deliver a read transfer speed of up to 85MB/s (566X). Hence, you can rapidly acquires, plays back, and transfers media data, including extended durations of 1080p full-HD and 3D videos. Built for the harshest conditions. Durability tested to secure your data from everyday mishaps – water proof, magnet proof, temperature proof and X-ray proof. Bring your smartphones, tablets, or camcorders to the mountains, the sea, or the desert. Even if your personal device doesn't make it through, your Strontium memory card will. At Strontium®, we take the responsibility of protecting your data, very seriously. 2b. USB Type-C compatible with supported devices with Type-C port.